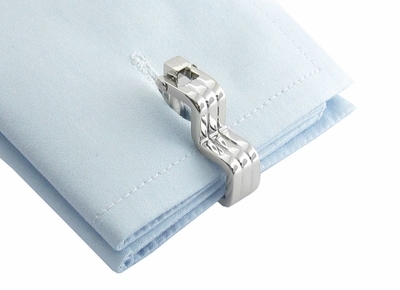 Step up in the fashion world by wearing Step Ribbed Cufflinks. 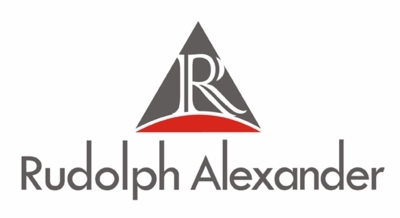 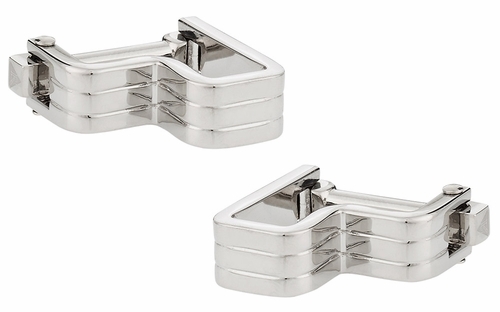 Designed to mirror the steps that you take every day at work and home, these cufflinks go well beyond the unique fashion accessory concept to produce a visually stunning rhodium silver mount and setting. The thoroughly polished metal presents a mirror like appearance that reflects everything in its path. 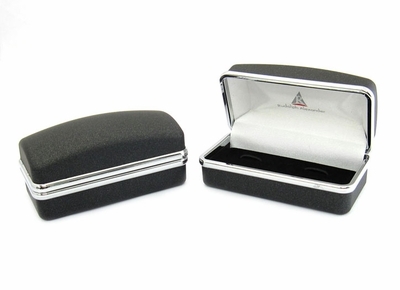 Our proprietary branded hinge adds panache to fashion accessories that already define the meaning of elegance. The step ribbed cufflinks look like they would cost a lot more than is asked for on this site and I also like the presentation box.